The very first volume (Part-I) of Ayurvedic Pharmacopoeia of India was published by the Ministry of Health and Family Welfare, Govt. of India in 1986. 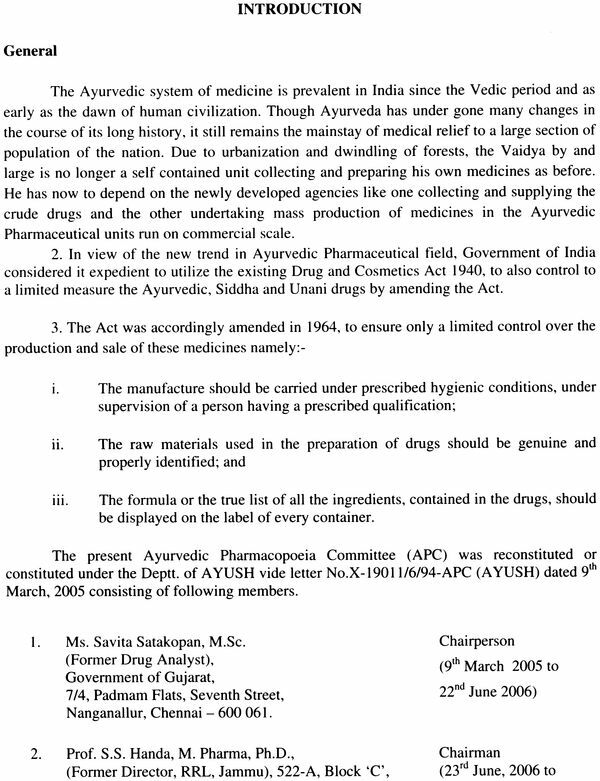 It contained monographs of eighty single Ayurvedic drugs. The parameters of identity, quality, purity and strength of each drug monograph included botanical identity with binomial nomenclature, macroscopic, microscopic examination or confirmation of identity; ash values and extractive values for quality, purity and strength. With the advances in scientific techniques and better understanding of the Ayurvedic fraternity it becomes pertinent to add value to what was published 23 years ago. 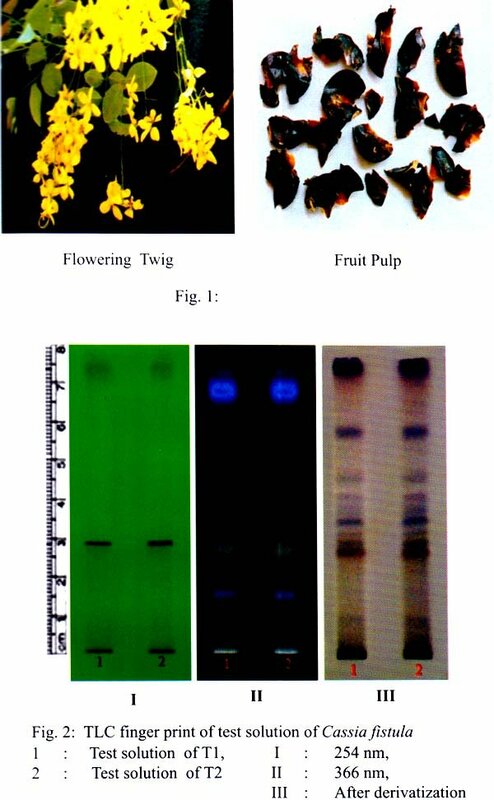 While revising the Volume I, it was considered pertinent to prepare a separate atlas include thin layer finger print profile for each Ayurvedic drug. 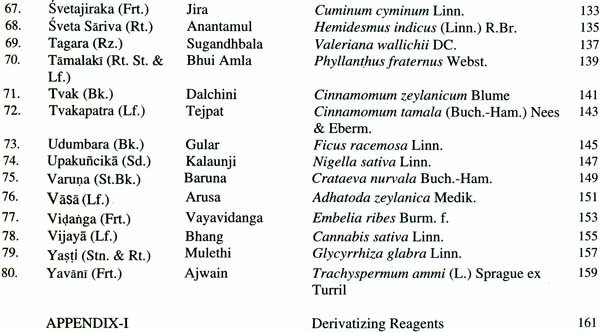 This atlas contains thin layer chromatographic (TLC) finger print profile of each of the eighty single Ayurvedic drug included in the first volume of Ayurvedic Pharmacopoeia of India (Part-I). 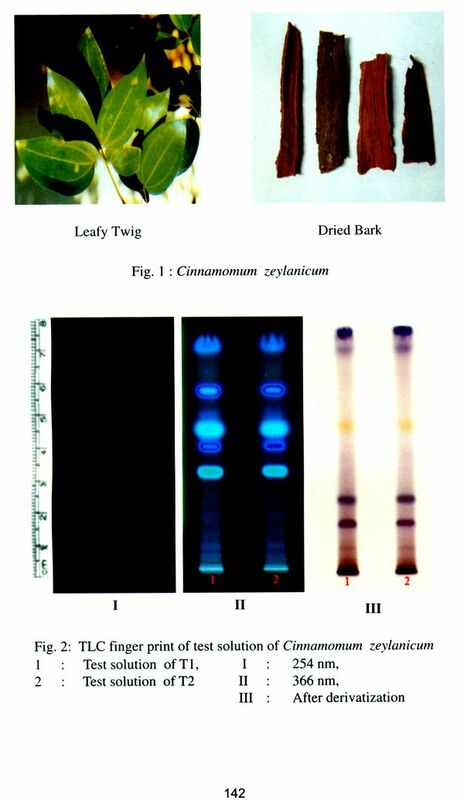 Of the many chromatographic methods presently available, TLC has become widely adopted for the rapid and positive analysis of plant drugs. The special advantages of TLC are its sensitivity, speed and versatility. Sensitivity allows for separation of less than microgramme amounts of raw material Versatility allows for a great number of different solvents available in commercial form e.g. 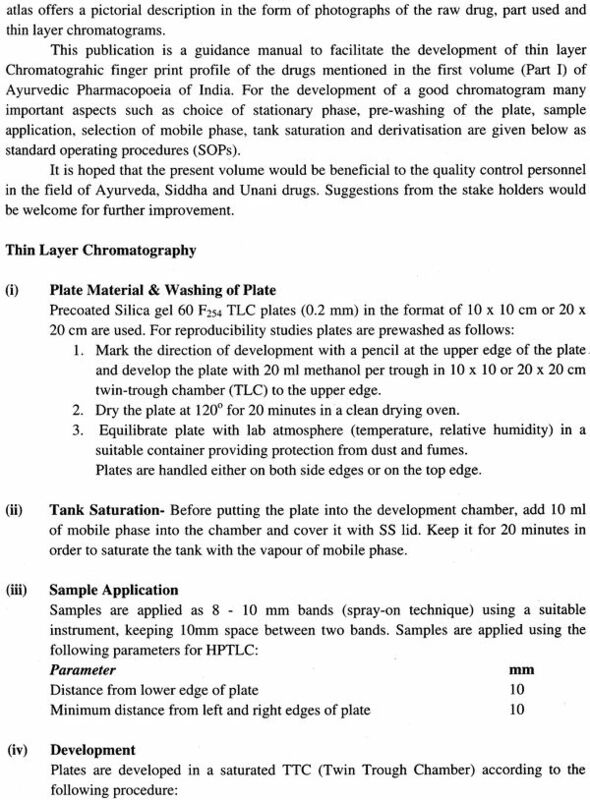 Silica gel TLC or HPTLC plates, reverse phase plates, cyano-acid diol plates, aluminum oxide and cellulose. The time required for demonstration of most of the characteristic constituents of a rug by TLC is very short. TLC provides a chromatographic drug finger print. It is, therefore, suitable for monitoring the identity and purity of drugs, and for detecting adulteration and substitution. A photographic TLC atlas fulfils the same function and purpose as a catalogue of spectra. 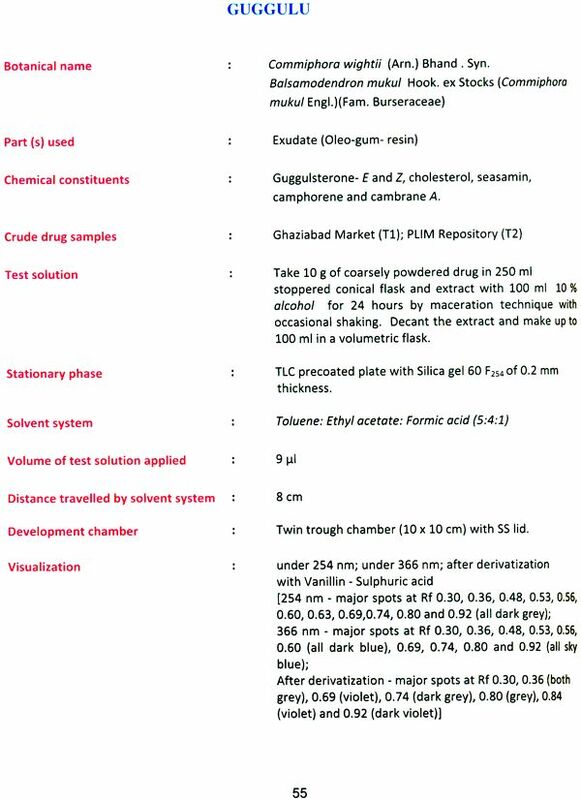 The identity and non-identity an official drug can be established by comparison with the chromatogram of the 'standard drug' Unknown commercial drugs can be more easily identified by comparison with the visual record in the TLC atlas. 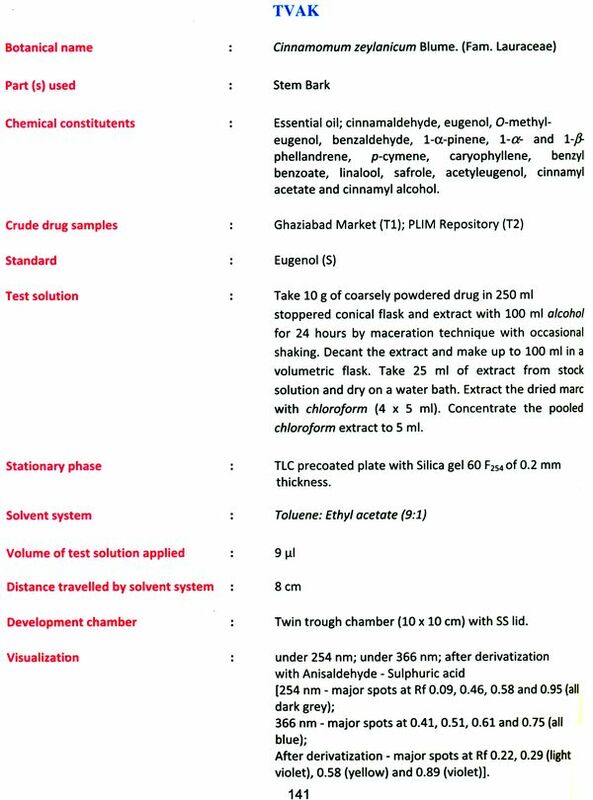 The photographic drug atlas is an aid to the routine identification and purity testing s rugs in drug control laboratories. Photographic reproduction of thin layer separations has an advantage over mere graphic representation. The TLC photo-drug atlas has an immediate clarity of representation that facilitates the learning of TLC drug analysis. I appreciate the efforts of Ayurvedic Pharmacopoeia Committee to bring this scientific volume in a user friendly manner. 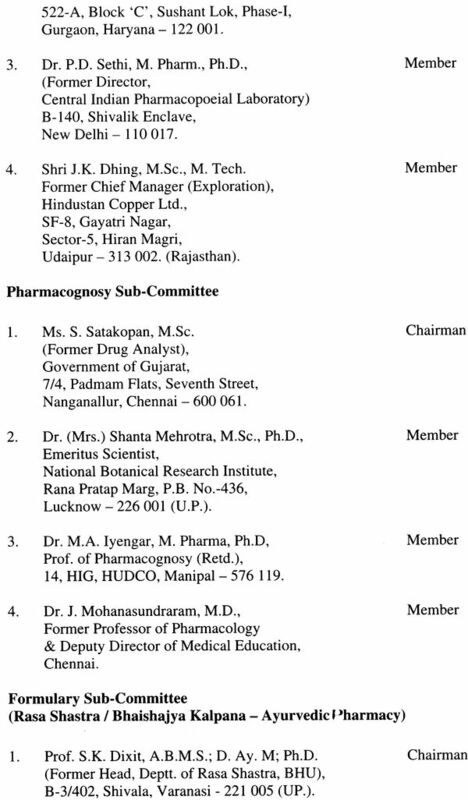 The contribution of Prof. S.S. Handa, Prof. P.D. 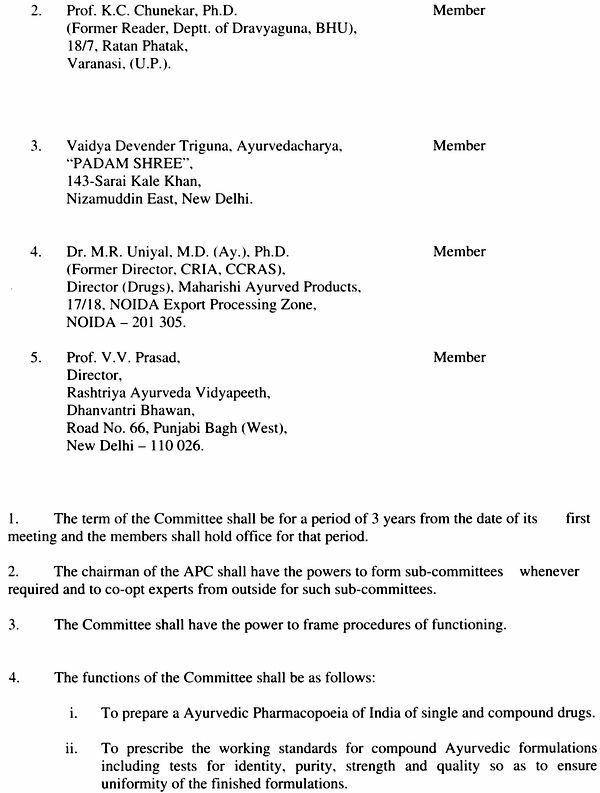 Sethi, Dr. S.K. Sharma, G.S. 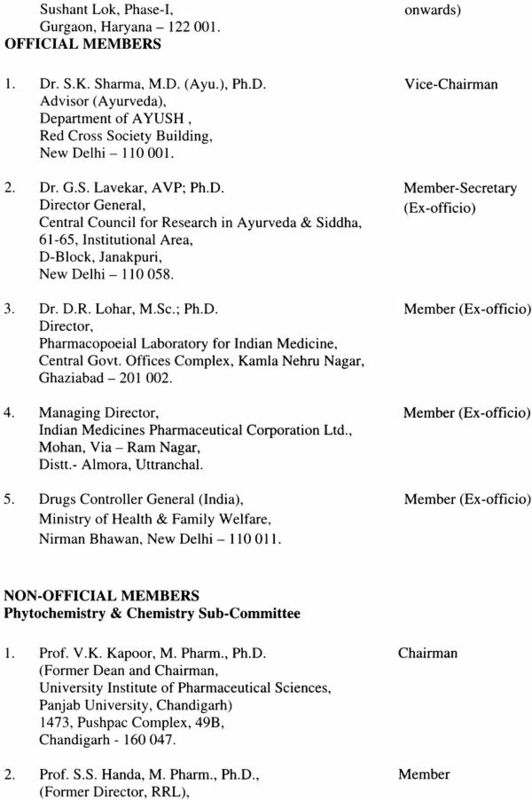 Lavekar, Dr. D.R. 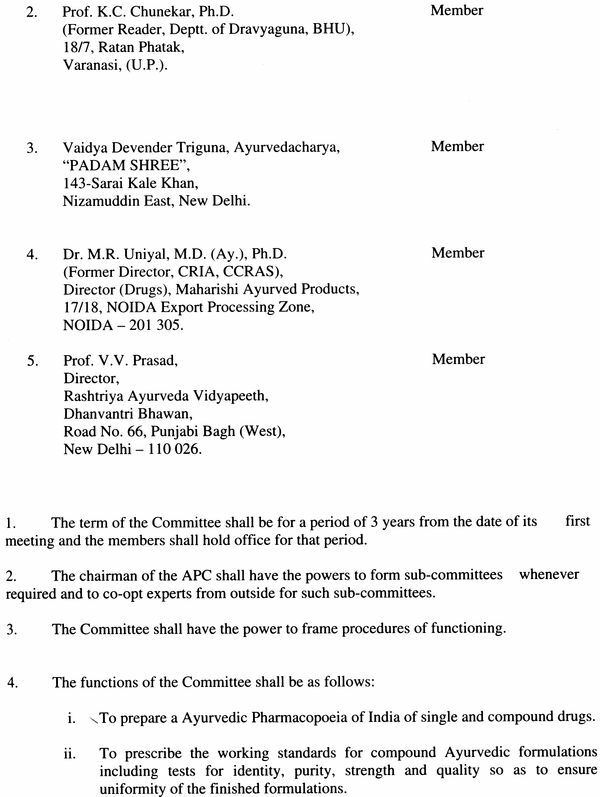 Lohar and scientists of PUM, Ghaziabad is highly commendable. 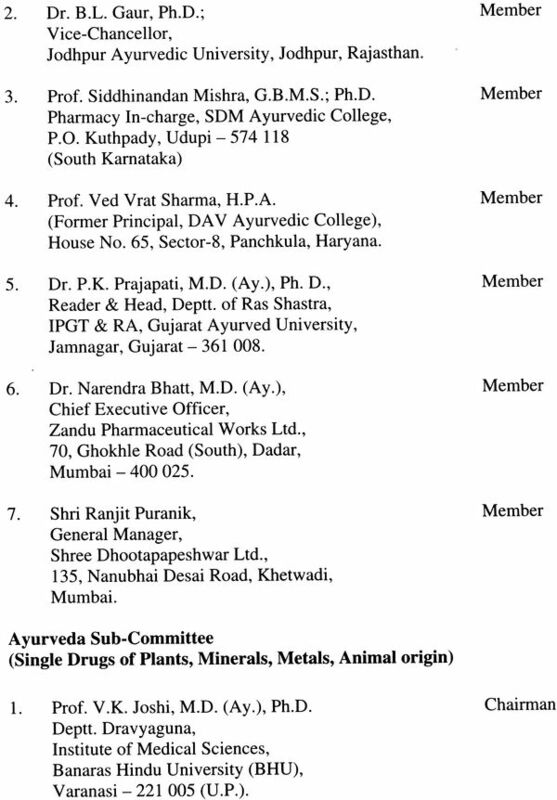 Hope this atlas serves the need gap of Ayurvedic drug industry, drug control laboratories and laboratories academic and research institutions for the purpose of plant drug identify and analysis. 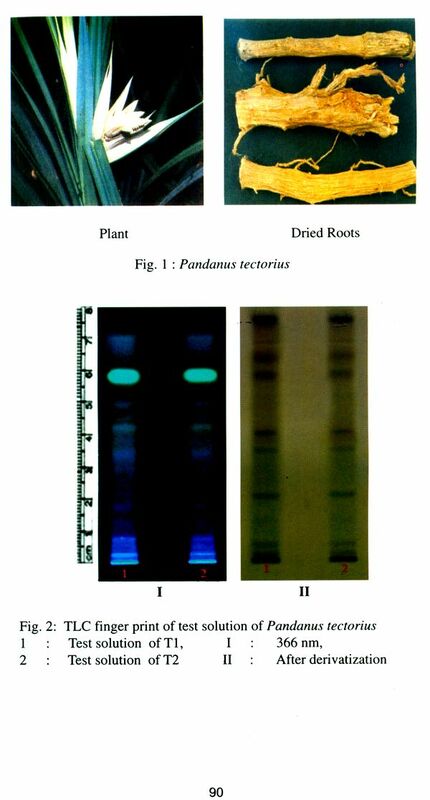 Besides having authenticated and botanically identified medicinal plants, there are other quality parameters, such as organoleptic examination, a h value and extractive value determination, ensuring limits of microbial load, heavy metal, pesticide residue and Chromatographic finger print using phyto-chemical reference marker/(s). The latter is becoming increasingly popular as the major reason advanced for the difficulty in developing quality control standards is that most of these products are whole herbs or parts of plants or their total extracts, and in many cases a mixture of a number of plants as in compound formulations. 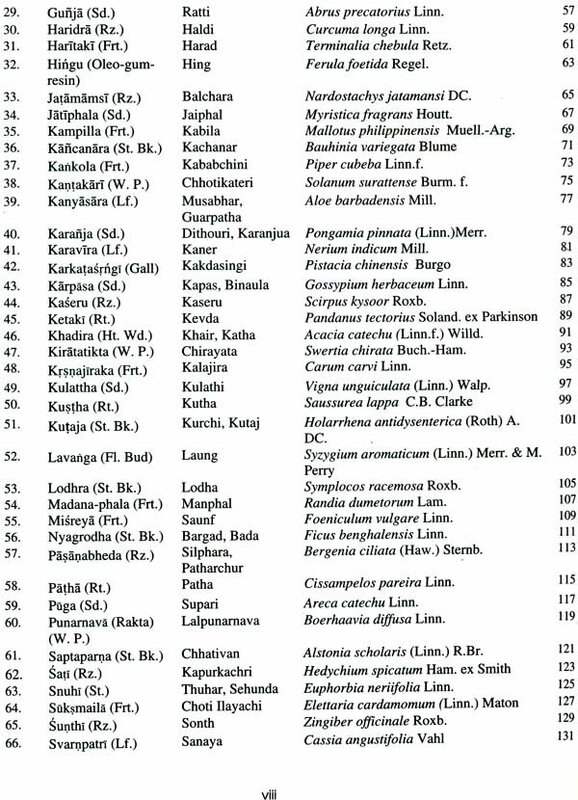 These medicinal products thus invariably contain a varied number with varied quantity of chemical constituents. 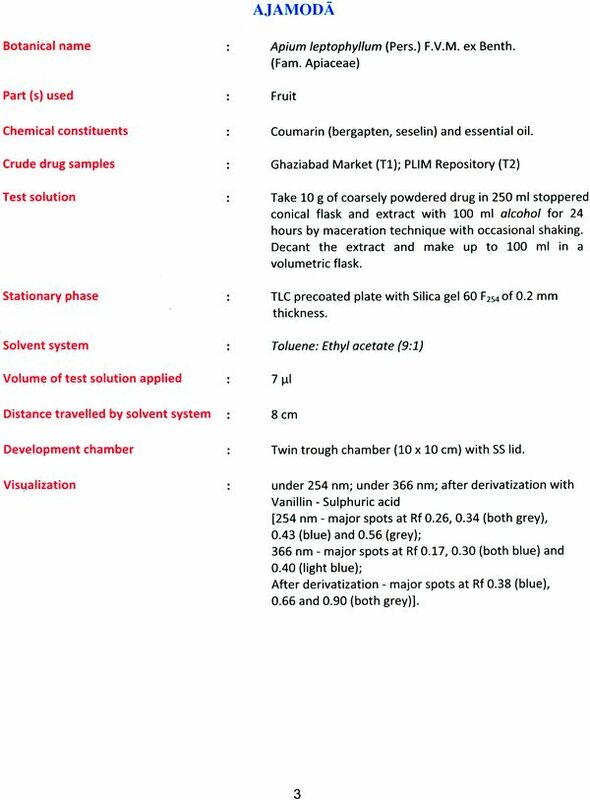 Chromatographic fingerprint provide some clue about the number of significant constituents present depending on solvent system used. 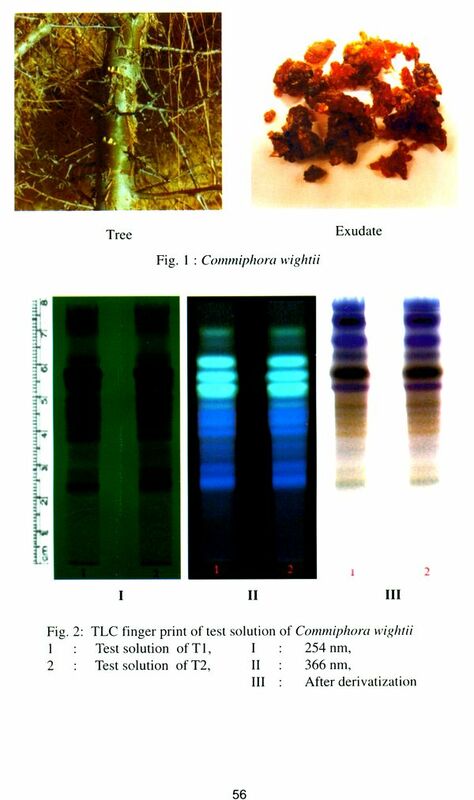 Thin layer chromatographic (TLC) fingerprint mostly fulfills the same function and purpose as a catalogue of spectra. 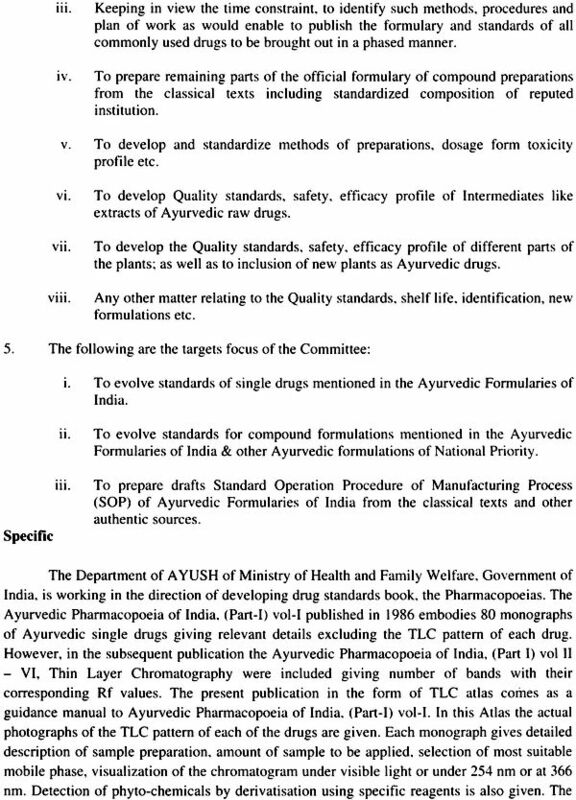 It is an aid to the routine identification and purity testing of drugs in manufacturing units and Ayurvedic drug control laboratories. It also help in process quality control. The identity and non-identity of official drug can be established by comparison with the chromatogram of the "standard drug". 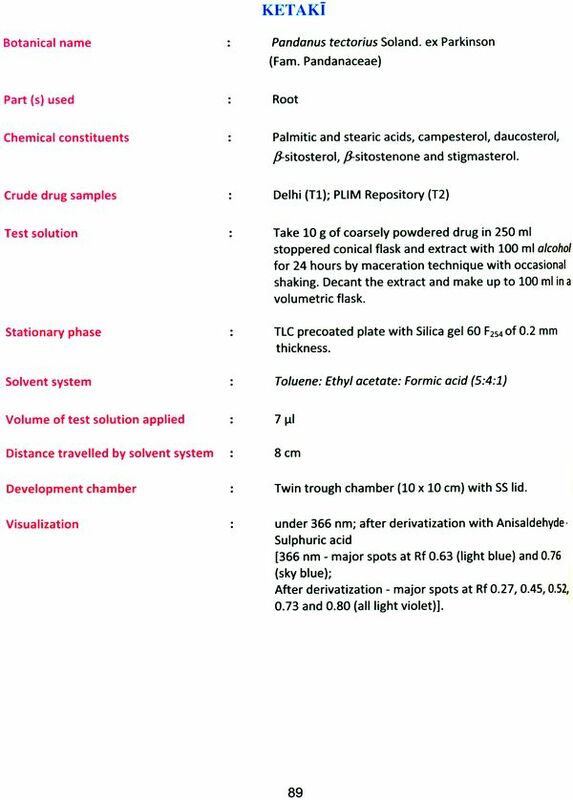 Unknown commercial drug can be separated by comparison with the visual record in the thin layer chromatograph (TLC) atlas. TLC fingerprint is suitable for monitoring identity and purity of drugs and for detecting adulteration and substitution. 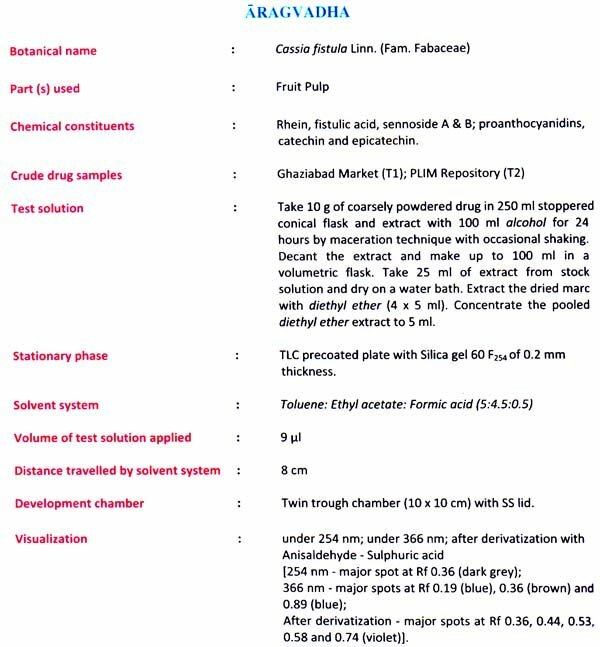 With the aid of appropriate separation procedures, TLC can be used to analyze in many drug combinations and phytochemical preparations. 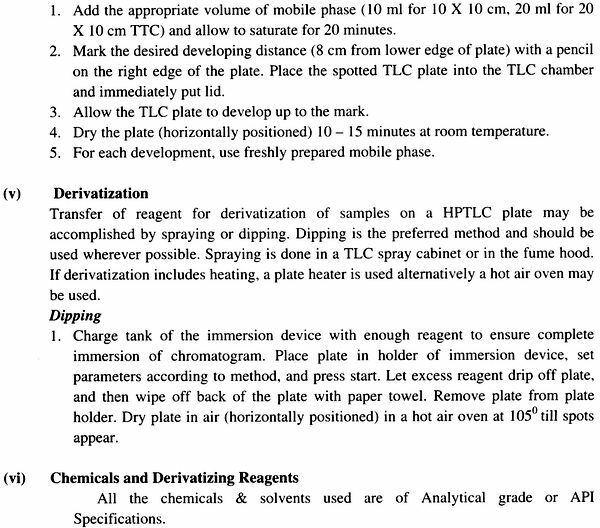 Time required to demonstrate most of the characteristic chemical constituents of the drugs by TLC is very short. 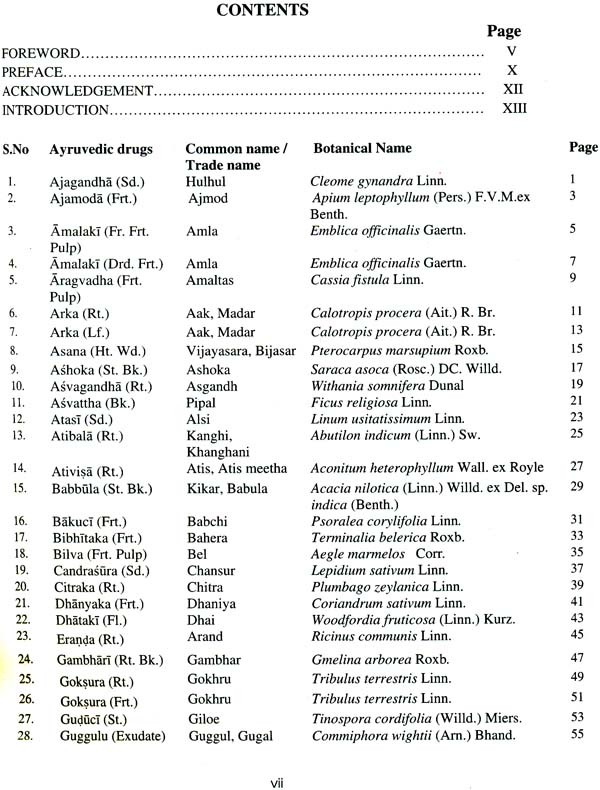 The Ayurvedic Pharmacopoeial Committee has initiated this work and the Pharmacopoeial Laboratory of Indian Medicine has taken a lead in bringing out this atlas on all the medicinal plants included in the first volume of Part-I of Ayurvedic Pharmacopoeia of India which is greatly appreciated. 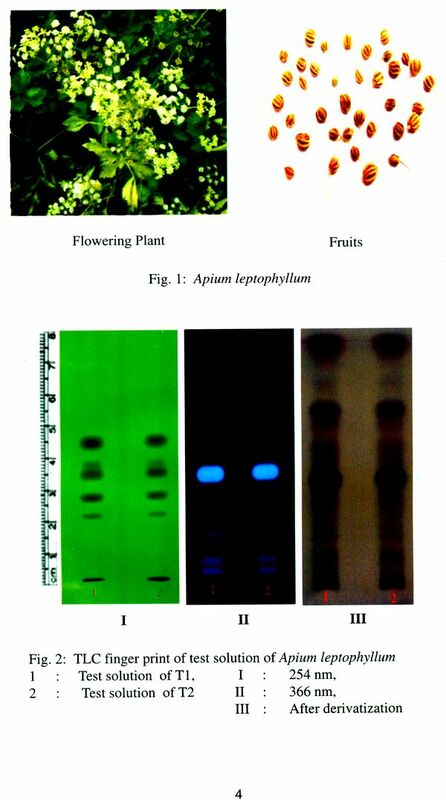 The phyto-chemical reference markers for all the plants could not be used and this handicap can be removed in subsequent attempts for further improving the status of this publication. Hope this atlas will be of immense practical use to plant drug manufacturers, quality control laboratories besides its utility in academic institutes and researchers engaged in work on plant drugs.